Mexican stars have blessed the Bundesliga in recent years. Bayer Leverkusen's Javier 'Chicharito' Hernandez would sit at the top of any list of successful Mexican imports, although his close friend, Eintracht Frankfurt's Marco Fabian, is not far behind to judge by recent performances. Another Mexican, Pavel Pardo, lifted the title with Stuttgart in 2009. Click here to draft in some Mexican magic to your Official Fantasy Bundesliga team! Adrian Goransch could soon be the next name to join that illustrious list. The 18-year-old attacking midfielder, who has plied his trade with Wolfsburg since he was eight, has recently been tipped for the top. As his name suggests, Goransch is half-German, half-Mexican; he was born in Puebla, Mexico, to a German father and Mexican mother. His parents met in Mexico because his father, from Wolfsburg originally, was working for his car company on a placement in Puebla. Once Adrian was born, the family remained in Mexico for seven months before upping sticks to the United States, where Adrian lived until he was three. From there, the family returned to Goransch Senior's hometown, Wolfsburg, where they have been ever since. Although tipped for the top, it has been this season that Goransch has started turning heads in the Wolves' U-19 team. 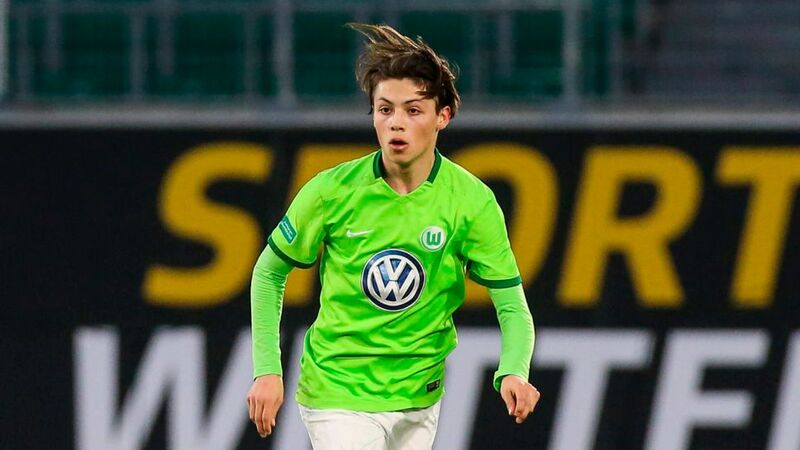 A versatile midfielder, Goransch returned one assist in ten games as Wolfsburg went undefeated throughout the campaign to romp to the title of the northern section of the Youth Bundesliga. Goransch's performances have not gone unnoticed. In an exclusive interview with bundesliga.com, the Mexican Football Federation's (FMF) director of youth national teams, Dennis te Kloese, drew attention to Goransch's talent. Click here to like the Bundesliga's Official Facebook page! "We've been following Adrian for a while," said te Kloese. "We sent one of our people to watch him and to get in touch with his mum. He watched a game and since then the scout has been giving us regular reports on his progress. "Adrian is a very interesting player for us," said te Kloese. "He was born in Puebla and that family history means that he likes the idea of playing for Mexico. That's important. Adrian can offer us quite a lot, because he's versatile: he can play in several attacking positions and so broadens the squad in that sense." While there is obvious interest from the Mexican side, te Kloese did sound a note of caution given the current strength of El Tri's youth reserves. "Adrian will soon have his moment when he's called up and I'm sure we'll give him the opportunity. He showed interest in playing for Mexico, but that was a long time ago." If Goransch does continue progressing in such a manner and takes the next step into professional football, then it seems likely he will have to make a decision sooner, rather than later. If he opts for El Tri, it would certainly be a boon for the country; it seems safe to say that if he does so, he will write his name into that illustrious list of Mexicans in Germany's top flight. Watch this space.